My generation came to age in the 90's. I spent my teen years listening to Pearl Jam, Nirvana, 4 Non Blondes, etc. The 80's belonged to my older siblings. 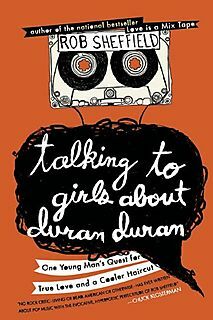 So a memoir about growing up in the 80's and listening to the music of the decade is not my thing. I did find his tales of growing up in a big family touching, but I couldn't relate to the music love. Just not my cup of tea. 3/10.